– The 2015 Royal Rumble pay-per-view will happen at the Wells Fargo Center in Philadelphia, PA, on January 25th. Tickets go on sale this Friday, although some were made available to people at the tapings. 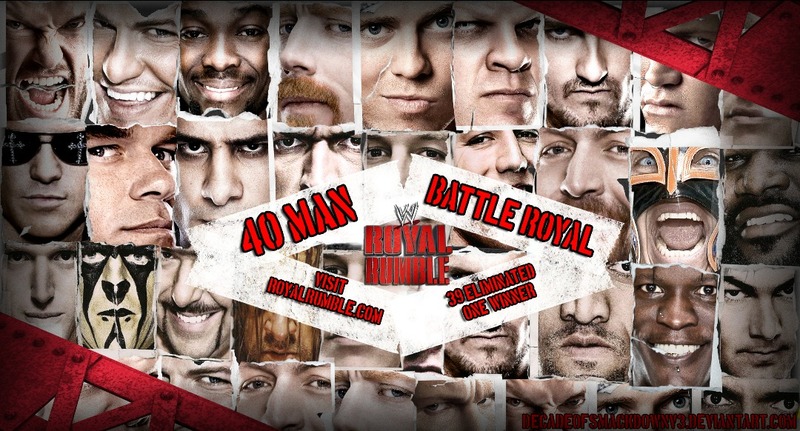 – The 40-man Royal Rumble match will return. This is fantastic news. For those of you non wrestling historians, the Royal Rumble normally only has 30 participants, but in 2011, the WWE upped the ante in Boston and 40 superstars were entered into the match. Alberto Del Rio won that Rumble, and now he’s wrestling in Mexico, so odds are we will have a new 40 man Royal Rumble winner. It would be glorious if Cesaro gained some momentum and went into the Rumble as the favorite, then eliminated the other 39 participants and maintained his Battle Royal dominance. No matter who wins, this should be a doozy. Posted on October 8, 2014, in Average Blog Posts and tagged smackdown 15th anniversary, wwe royal rumble, wwe smackdown. Bookmark the permalink. Leave a comment.